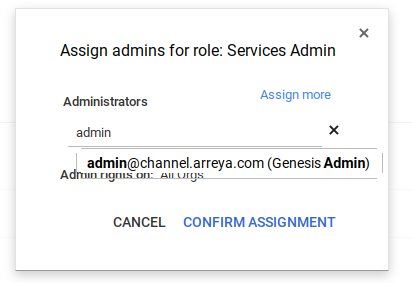 How do I add users to the Admin console in Chrome Management? 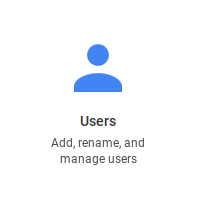 After logging in to your Google Admin console, go to the Users section. Click the [Add User] button in the lower right corner. Enter the user’s name, desired email address, and set a password if desired. Record the credentials on the next screen and send them to the new user if desired. How do I give a new user access to Admin console functions in Chrome Management? In order for a user to have access to Admin console functions, you will need to set admin privileges for the user. 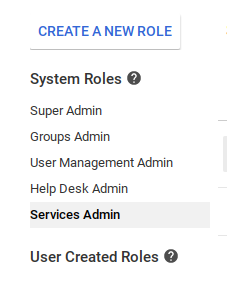 After logging into your Admin console, go to the Admin roles section. The button may be hidden in the More Controls dock at the bottom of the screen. Select which role you would like your user to have, the typical choice for setting up a user that has access to device management, would be the Services Admin role. An explanation of the different built in roles can be found here: https://support.google.com/a/answer/2405986?hl=en. Type the email address of the User you would like to assign privileges to. Click [Confirm Assignment]. That user will now have access to the Admin console.